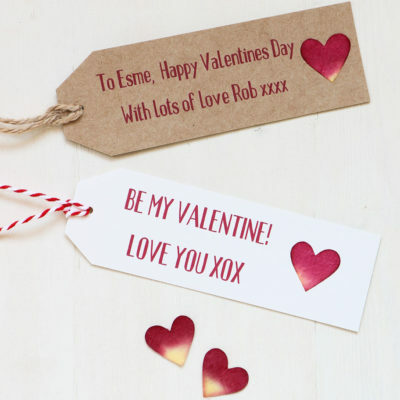 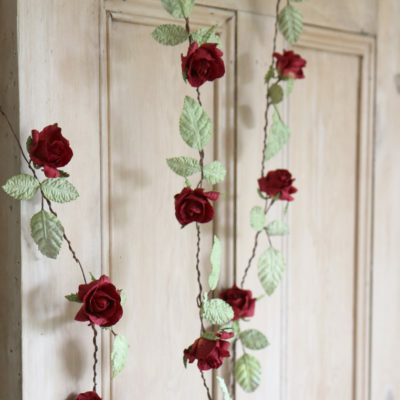 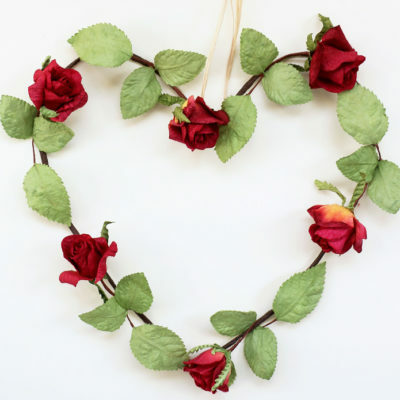 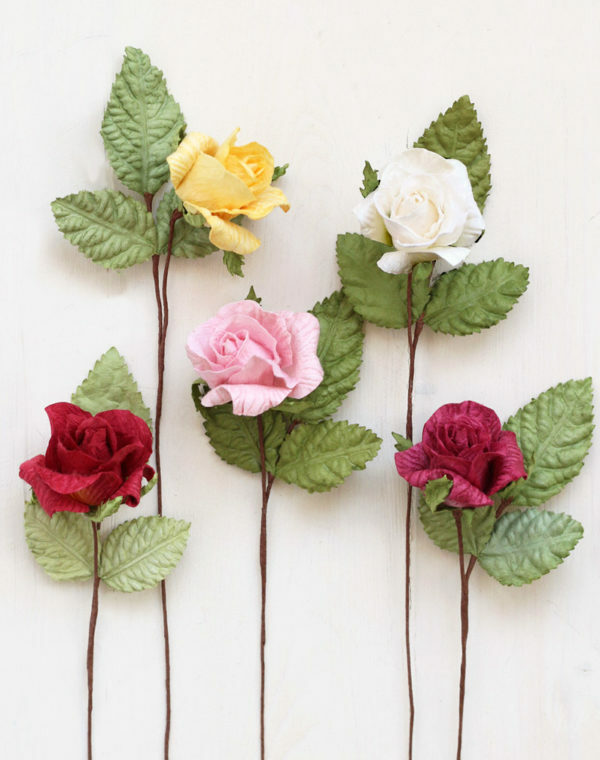 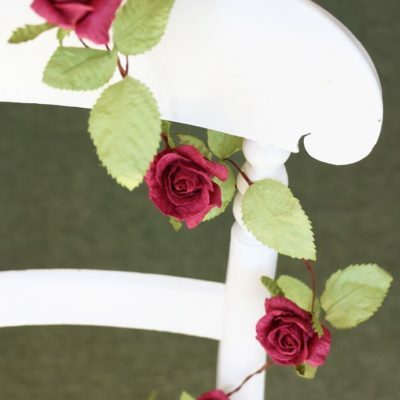 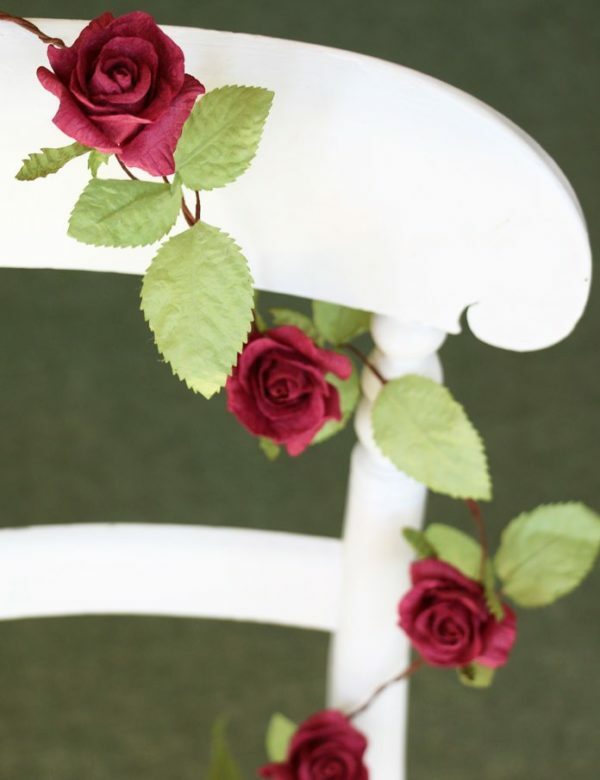 Paper rose garland in ivory white, red, yellow, dark pink or pale pink. 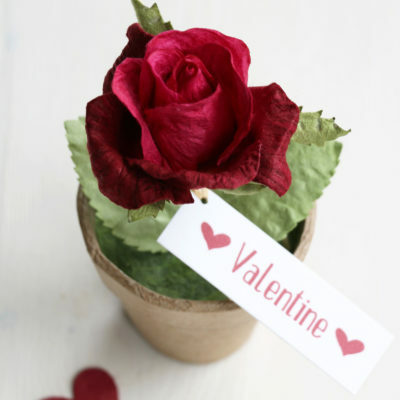 Handmade from eco-friendly paper. 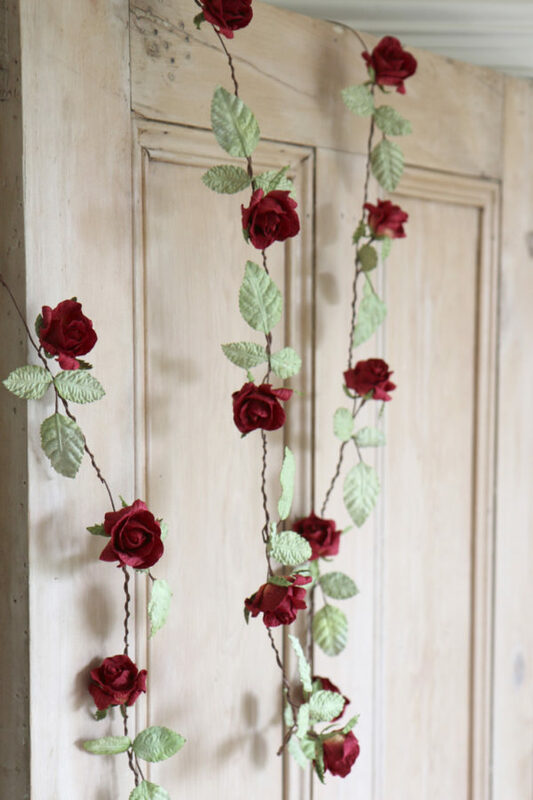 Paper rose garland in ivory white, red, yellow, dark pink or pale pink. 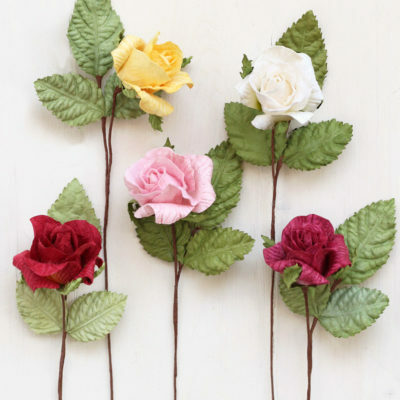 Beautifully handmade from eco-friendly paper. 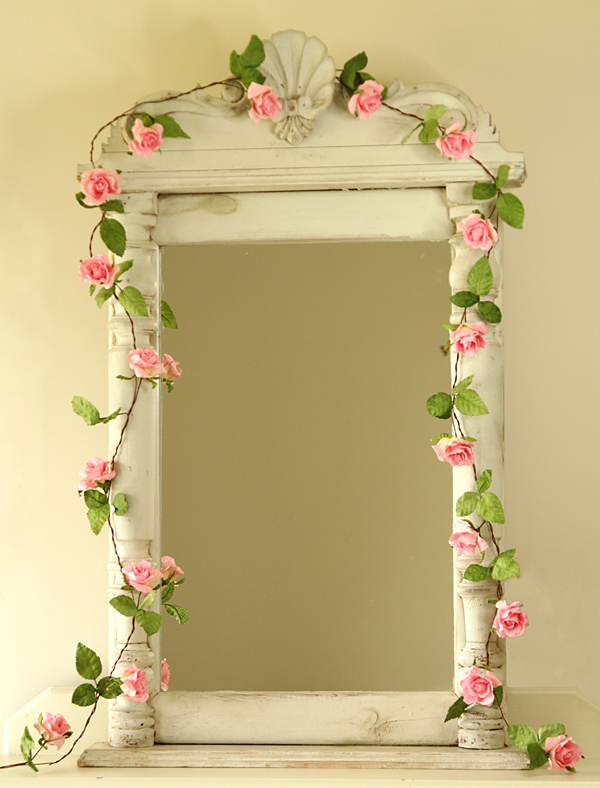 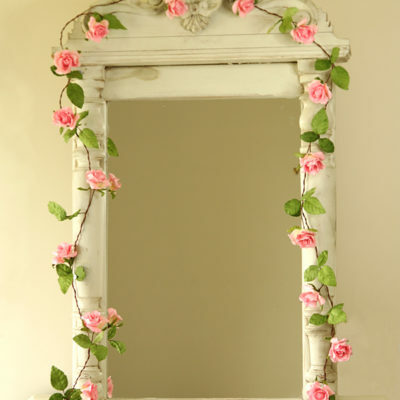 A stunning decoration for weddings, parties or for home decoration draped around mirrors, mantlepieces or tables. 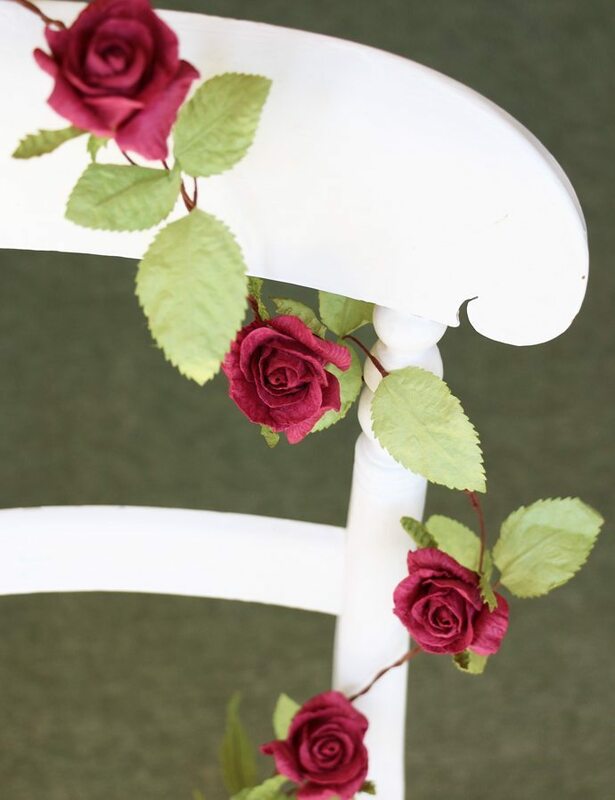 Length approx 130cm with 9 roses. 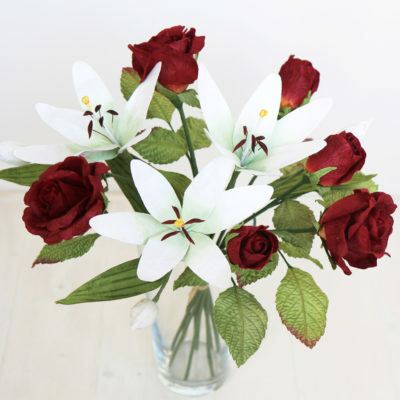 Also available in longer lengths (select below). 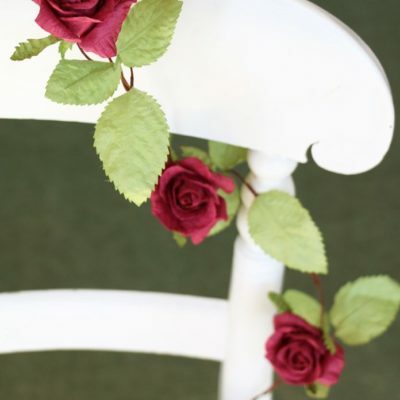 Featured in ‘WEDDING IDEAS’ & ‘PERFECT WEDDING’ magazines.